Blockchain is still a relatively new and evolving technology. One of the main issues with its newness is lack of awareness. Many people don't even know what it is actually is or have merely heard the term and don't know much beyond that. There's a huge need for education – education for the general population and education to create highly skilled blockchain developers. Another key issue when it comes to implementing blockchain technology is the mismatch between centralized corporate structures and decentralized blockchain thinking. One of the methods of solving this comes from creating private blockchain networks. Private networks provide more control and predictability, essential for regulated institutions (which don't even allow this decentralized, public system). They also scale better, which is useful for any business. However, private networks are only as good as the honesty of the entities who validate the transactions. Even more so, there are much higher levels of error checking and transaction validity. Further questions evolve from this issue of private networks such as: Who holds the power to add and remove numbers from ledgers? What jurisdictions should intervene? * Ultimately, answers will be incombent on issues of governance, scalability, and reputation. 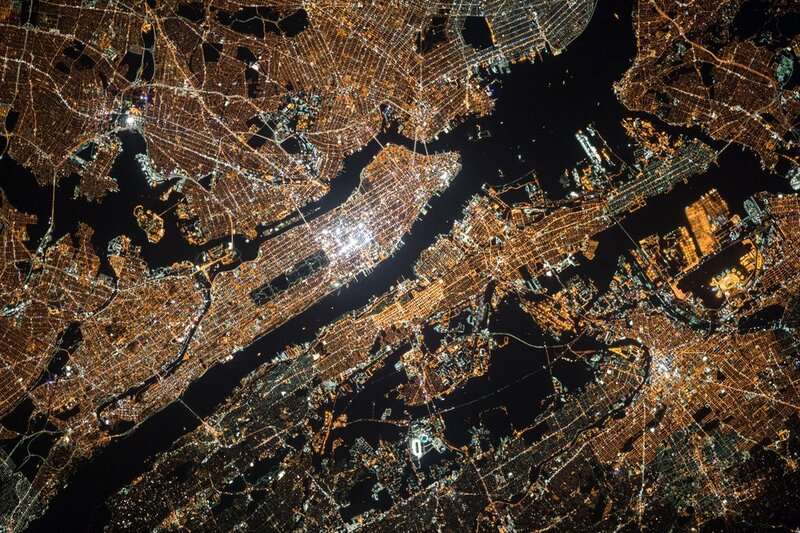 As blockchain continues to find its footing, and more industries start to adopt it into their processes, awareness will grow, education will increase, and the technology should continue to evolve to support a vast range of industries. 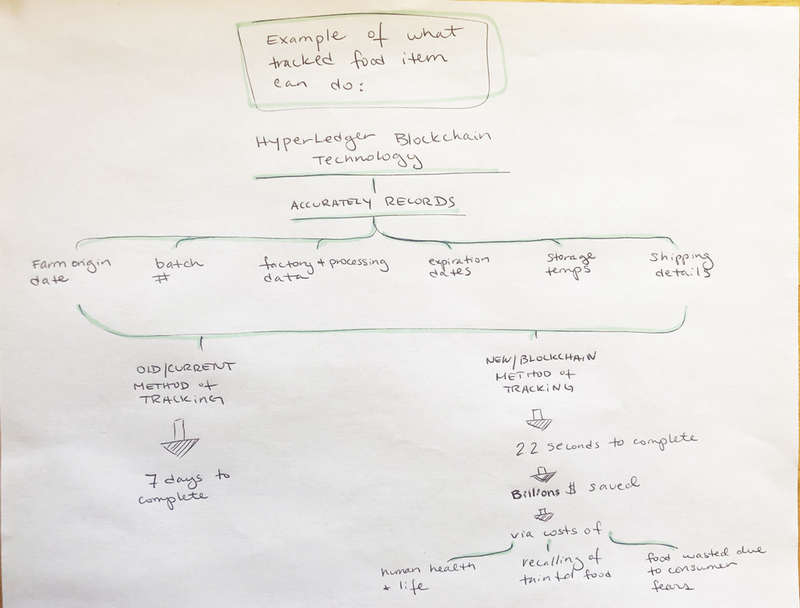 *Hyperledger is one measure to create better standardization within blockchain (this is what the IBM Food Trust is utilizing). 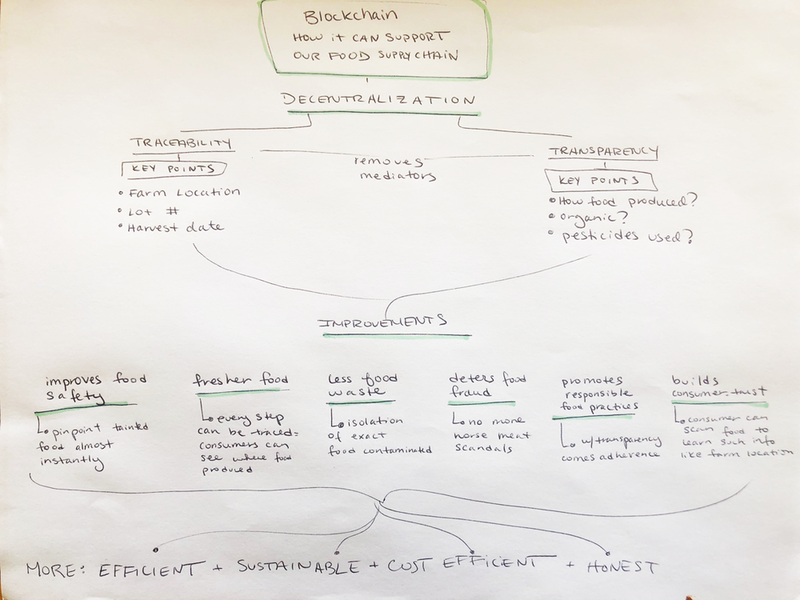 A high level overview of the key outcomes of a blockchain integrated food supply chain. What blockchain can do for food tracking. The mind map that led to my written reflection above.